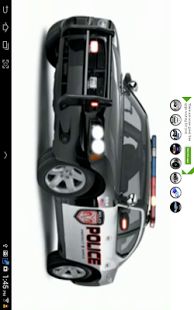 Police Car Lights and Sirens features an animated police car and police sirens at the touch of a button for when emergency situations may arise. 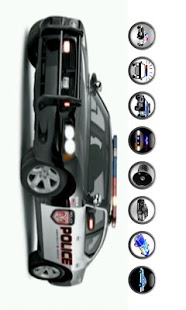 Choose from 8 selectable police sound effects, the loudest police sirens around! 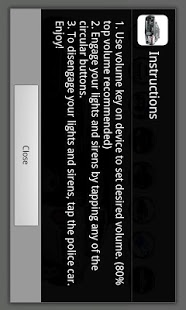 Simply tap a button to activate the lights and sirens, tap the police car to deactivate.